Suggested hotel is: Danubius Hotel Flamenco which is 15 minutes by bus to Rubin Hotel. Host hotel of this year’s Council is Rubin Wellness & Conference Hotel, located at the Buda side of Budapest. The property has 83 spacious, stylish, air-conditioned hotel rooms, which are available in single and double use. All hotel rooms are equipped with LCD TV, radio, telephone and a private safe. Most of the rooms have garden view terrace and balcony. The hotel has a unique garden with shady trees, promenades, benches and a fountain. It provides excellent atmosphere for the Council. You can start your day with a tasty buffet breakfast at the newly refurbished hotel restaurant. Enjoy the unique fitness, wellness & spa facilities or the bowling alley. There is free WiFi internet connection in the rooms. You will receive a registration welcome package, lunch on all 3 days dinner on Friday and Saturday and free entry into evening events. We offer two types of Council Packages to ensure your stay is smooth and affordable. These packages include accommodation in the Rubin Hotel for either 2 or 3 nights depending on your length of stay. All packages include the Council Welcome Package, breakfast and lunch for all days. Dinners for two days and free entry into evening events. *Council Package 1 includes single or double room for 3 nights (Thursday May 1st, Friday May 2nd and Saturday May 3rd). You will receive a registration welcome package, lunch on all 3 days, dinners on 2 days and free entry into evening events. 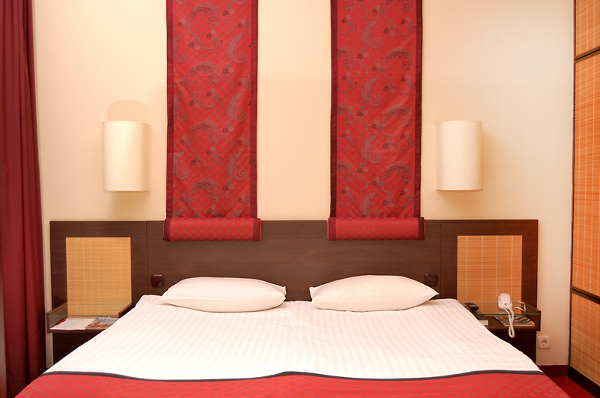 All hotel rooms are equipped with LCD TV, radio, telephone and a safe. Most of the rooms have garden view terrace and balcony. Buffet breakfast and use of wellness facilities and bowling alley are also included. Free WiFi internet connection is in the rooms. **Council Package 2 includes single or double rooms for 2 nights (Friday May 2nd and Saturday May 3rd). You will receive a registration welcome package, lunch on all 3 days, dinners on 2 days and free entry into evening events. 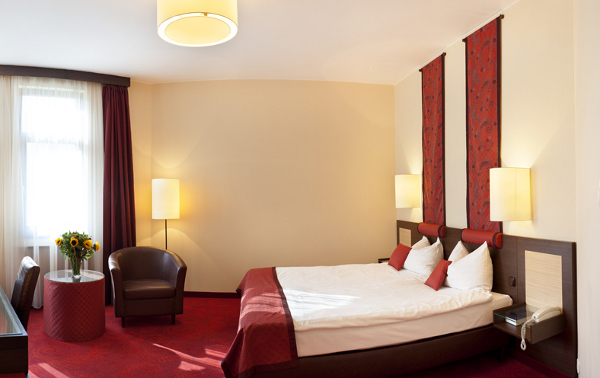 All hotel rooms are equipped with LCD TV, radio, telephone and a safe. Most of the rooms have garden view terrace and balcony. Buffet breakfast and use of wellness facilities and bowling alley are also included. Free WiFi internet connection is in the rooms. 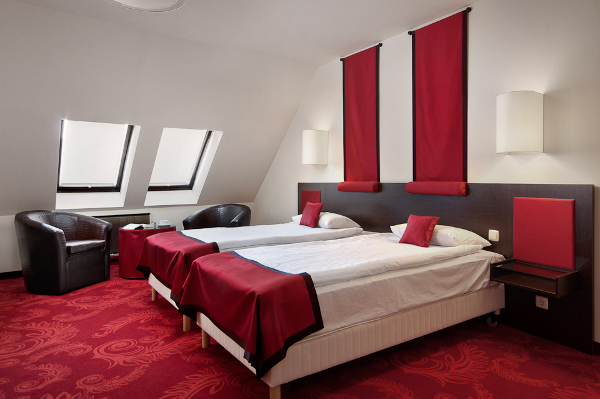 All package prices are for one person assigned to either a single, double or triple room. In case you want to share a room, please register and e-mail us at council@[remove-this-text]transvanilla.hu after your registration is complete for both/all and we will assign you to a double or triple room. Otherwise we will assign you in a shared room based on your roommate preference. ***Full Delegate Fee includes registration welcome package, lunch on all 3 days, dinner on 2 nights and free entry into evening events. No accommodation or breakfast provided. ****Day Pass Fee includes registration welcome package, lunch, dinner and free entry into same day evening event. Delegates are free to make their own (private) lodging arrangements. However, we strongly recommend taking advantage of the Council Packages as it will be difficult to find better rates in the city. We encourage you to clearly state dietary requirements, (dis)ability accommodations or other necessary information on the registration form.